Photo Share lets you upload photos along with descriptions and names selected from the app's database, from your smart device. You can add location, browse by species, select-favourites & scroll through your previous uploads. The downside is that the photos take some time to load and before they do, the screen incorrectly says there are no photos in the album. In fact there are currently 500 or so uploaded photos so users really like the feature. However, viewing them is slow and must cost heaps in data charges. 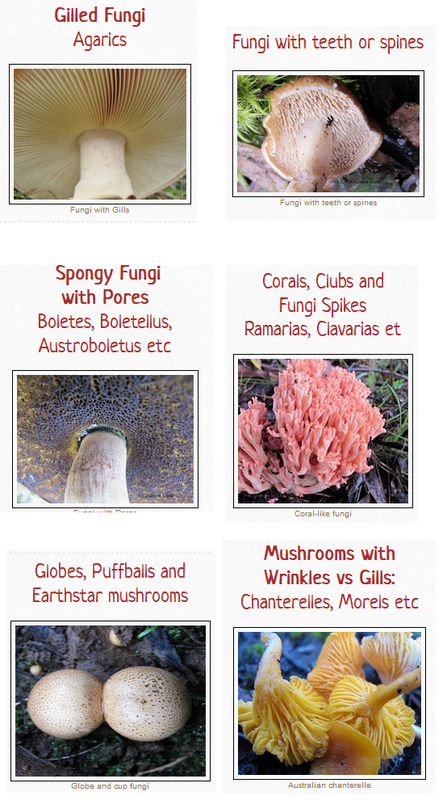 Browse by species displays an alphabetical list of fungi , along with thumbnails. Only some species prove to have data when pressed probably because users don't name their uploads. 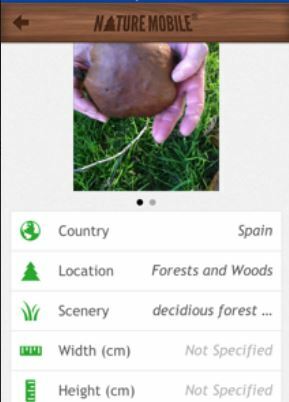 However, this is still a potentially useful addition to the app's 300 species. Browse by Location displays a world map showing the number of photo uploads from each region. The map identifies the app's main users as European and North American. 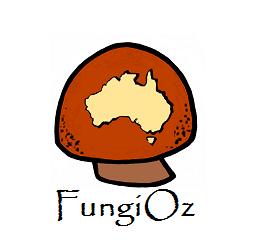 Onboard Quiz presents a photo of a mushroom and you choose its identity from four multiple choice options. This is quite useful for testing out knowledge of species types and for learning to identify specific species. By pressing Scoreboard you can apparently sign in to an Apple games centre. However, after declining this once, nothing happened when I again pressed the scoreboard. Online Consultation opens a registration page where you set up a user name, profile. 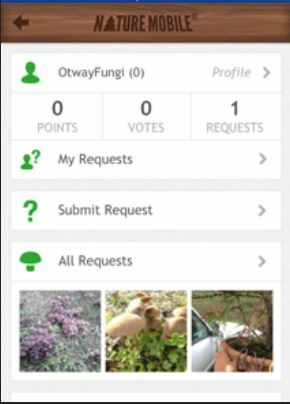 The screen below then displays and you can submit photos with an identification request, browse other's requests and review any answers to your own requests. During the 2013 season the app ran a competition in which users could earn points through offering identification ideas and through having these verified by certified experts. In 2014 the system appears to be operating without the competition and prizes. A manual about using the feature is accessed at the bottom of the screen. 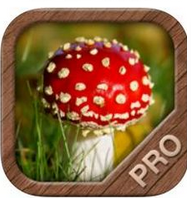 It simply says you can submit photos of a find and get initial suggestions from other app users. The screen below shows others' requests in chronological order. 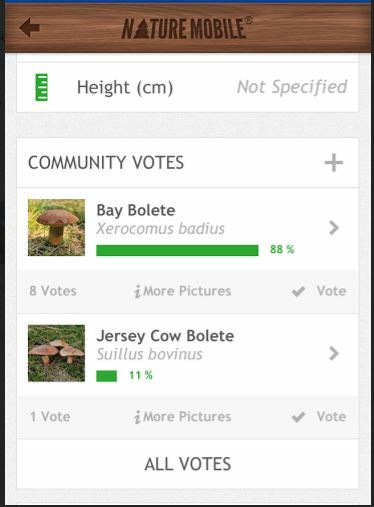 Selecting one of these, displays a screen from which you can see all the uploaded info, add a community vote and comments as to your certainty of identification. Here's the results page for one user's recent request. Eight users have voted on the same id, which the questioner can then check out via internet or guide-book comparisons. However, as with all community voted matters, the results can be wrong. This is all too evident by pressing the A-Z icon at the screen's to right. Searching for resolved queries produces results where most of the community votes have been designated as wrong. 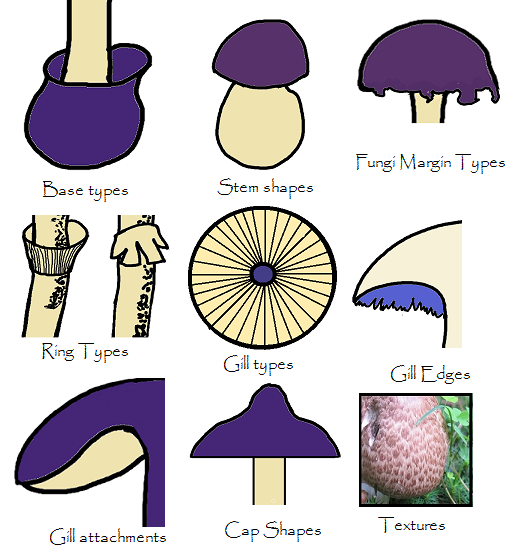 This is not surprising as many users suggest or endorse other user's fungi identifications on the basis of a single photo which does not show identifying features. Unfortunately, only a few items go onto list and describe the correct identification given by Dr.Ewald Gerhardt. Online consultation is a potentially useful and and a much used feature of this app. 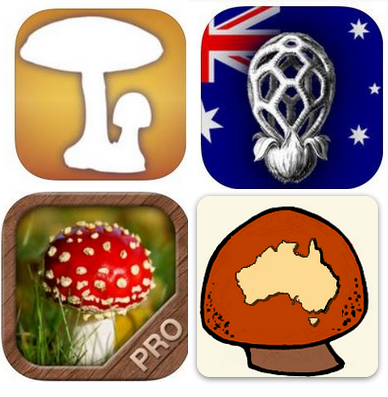 We were quite taken with them before discovering that the mycologist app content creator has marked most of the popular fungi identifications as wrong. However, popular identifications cannot be relied on and could result in some very nasty poisoning cases.